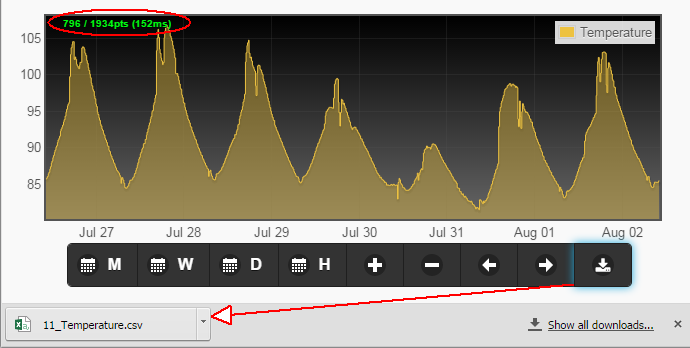 Graph legend div reformat + count of total raw data points that produced a graph are now displayed on top left. Also there is a new Export-Raw-Data button that generates a CSV file from the selected time window. This was requested here. This entry was posted in Code/Library, Home automation, IoT Gateway, Updates by Felix. Bookmark the permalink.